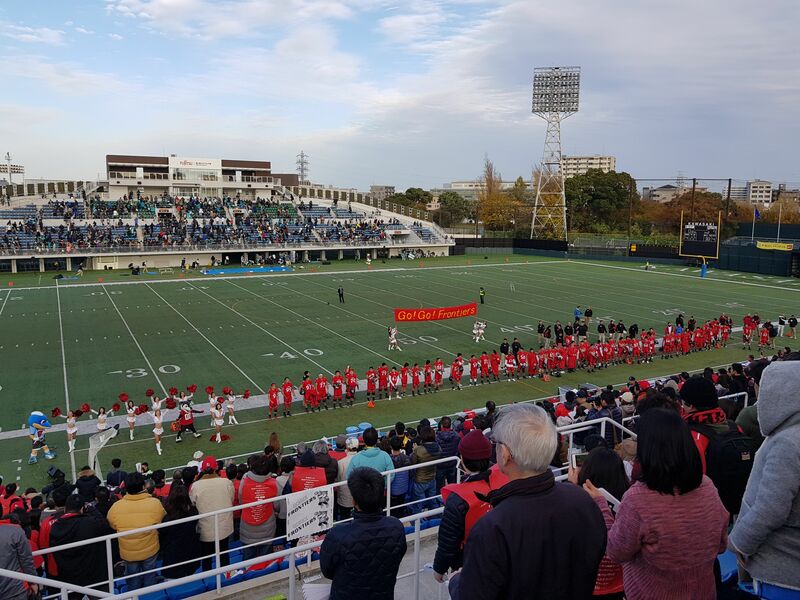 Yesterday, I had the opportunity to watch the Fujitsu Frontiers football game. 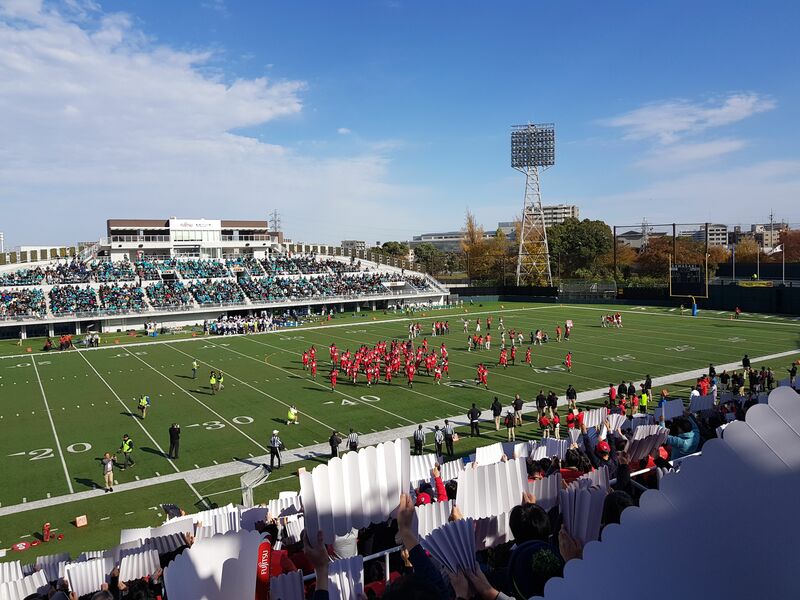 The Fujitsu Frontiers is an American Football team located at Kawasaki. 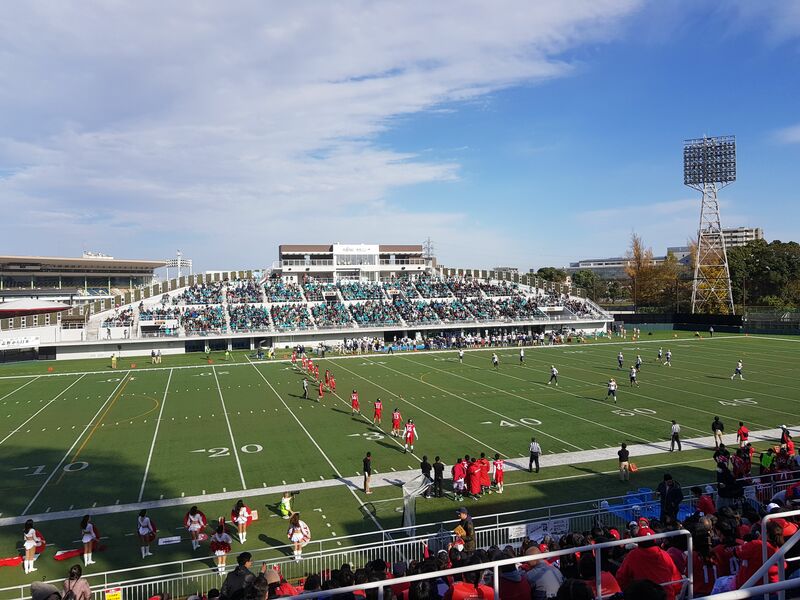 The JXB Tournament Semifinal Finals was held at the Fujitsu Kawasaki Stadium, just about 20 minutes walk from Kawasaki Station. The game was against the Orbic Seagulls. I could remember when I was in elementary, in one summer vacation, I was into American Football. I used to play (and master) the NFL computer game. The rules, the plays, the strategies, everything. I also used to watch the NFL at Studio 23. My favorite play was the Hail Mary pass. My favorite teams were the Green Bay Packers and Denver Broncos. 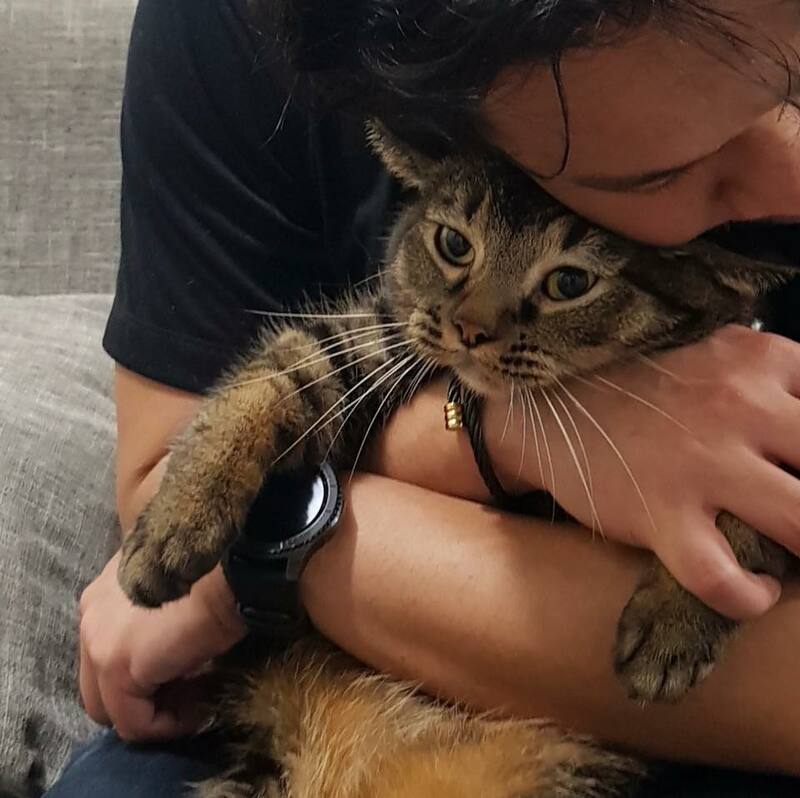 I accompanied my girlfriend to the airport in the morning since she had a business trip to India. It was only 30 minutes from Ueno station going to Narita. But going back home, I rode the local train and it took me about 1 hour and 40 minutes back to Kawasaki station. I ate lunch at Tenya and then walked my way towards the venue. 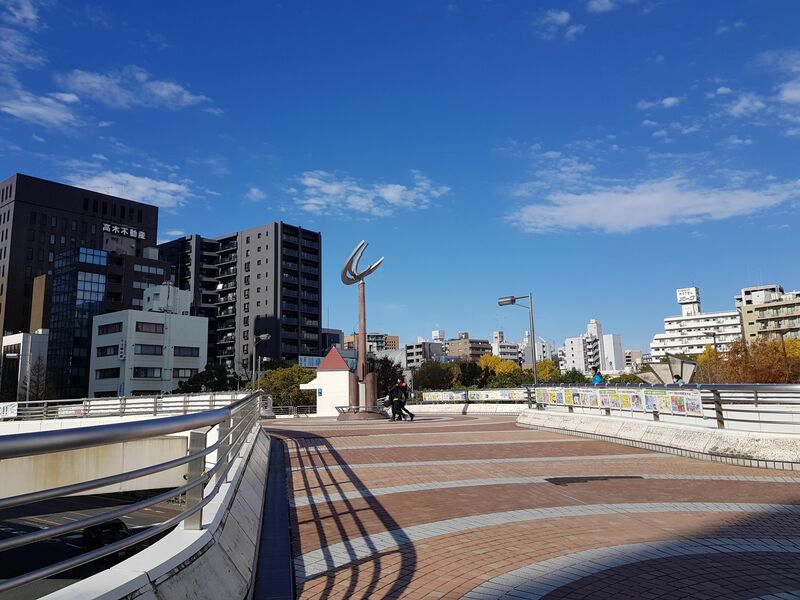 The place was new to me since I never really explored Kawasaki area before. 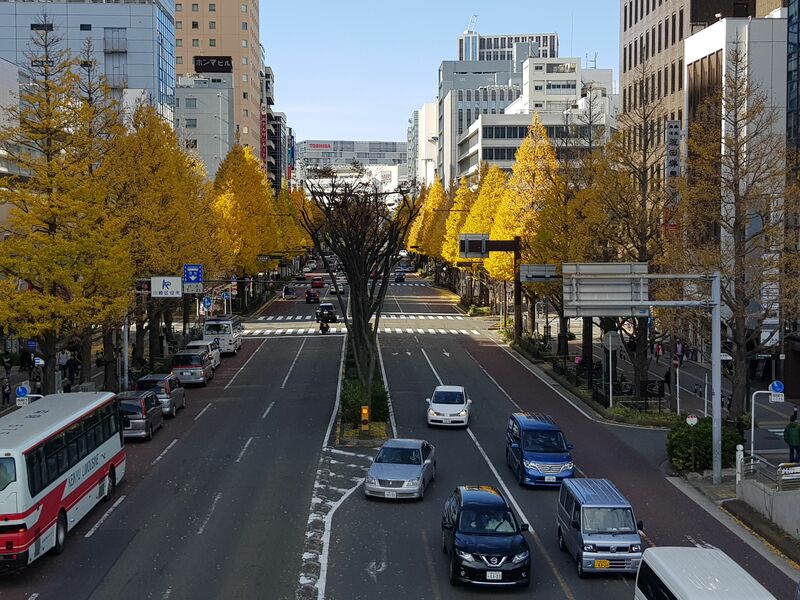 This was the street where I passed by and the Ginko leaves were already at peak. I also passed by an overpass and found this monument. Along the way, I also happen to a lot of people and I knew they were also going to the event. Upon arriving at the venue, there was no seat assignment and it was already full. I went up just to do ocular and found myself standing. The game hasn’t started yet. 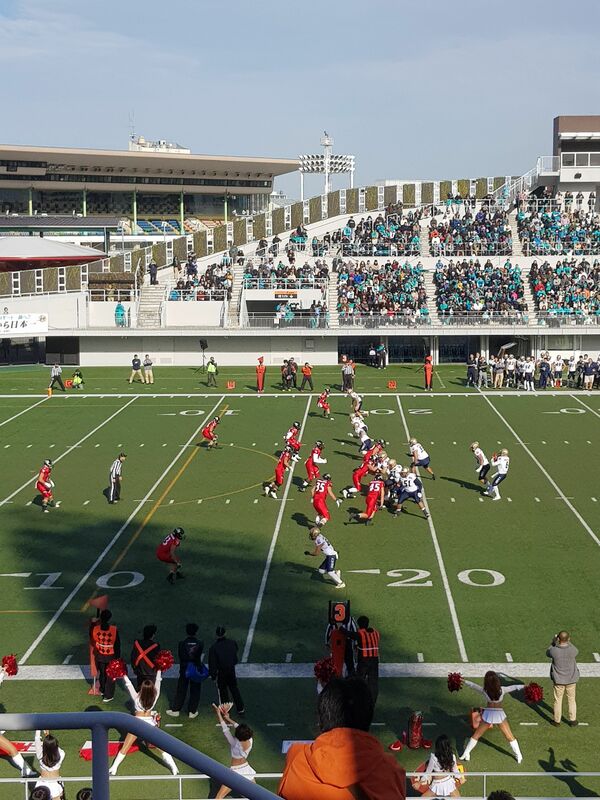 The players practicing, cheerleaders rehearsing, and spectators making themselves comfortable. The staff also gave us fan-like placards for us to use when cheering. The game has finally started with a kick by the Fujitsu Frontiers. Everything felt so nostalgic going back to my childhood. 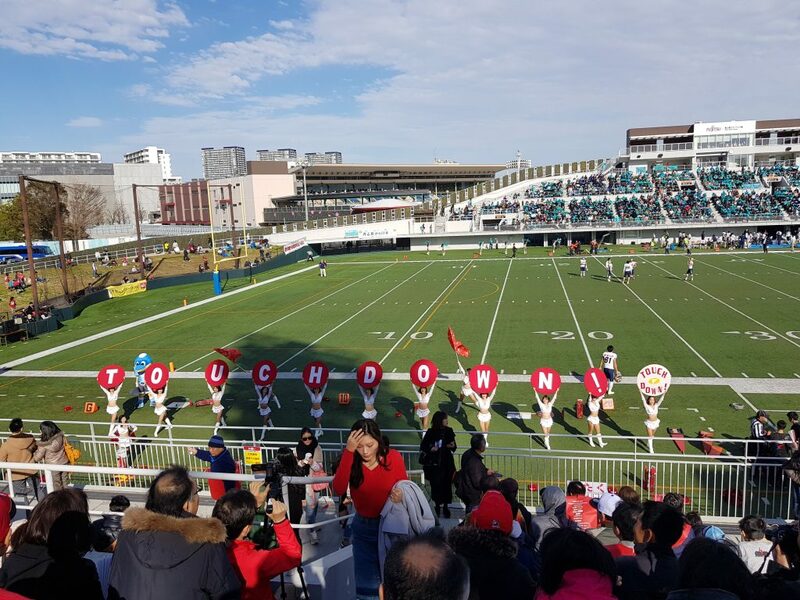 It was a good start for the Fujitsu Frontiers as they have scored a touchdown. They also have effective plays and passes that gave them an advantage over the Orbic Seagulls. You can read more about the highlights of the game here. 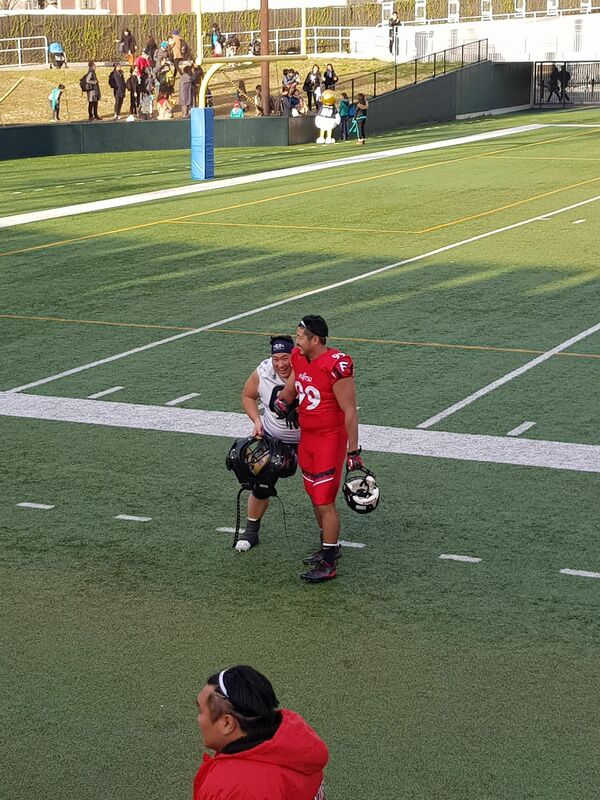 I can’t also help but notice the sportsmanship when I saw these two opposing players having fun after the game. The players also made sure to interact with the fans after game. 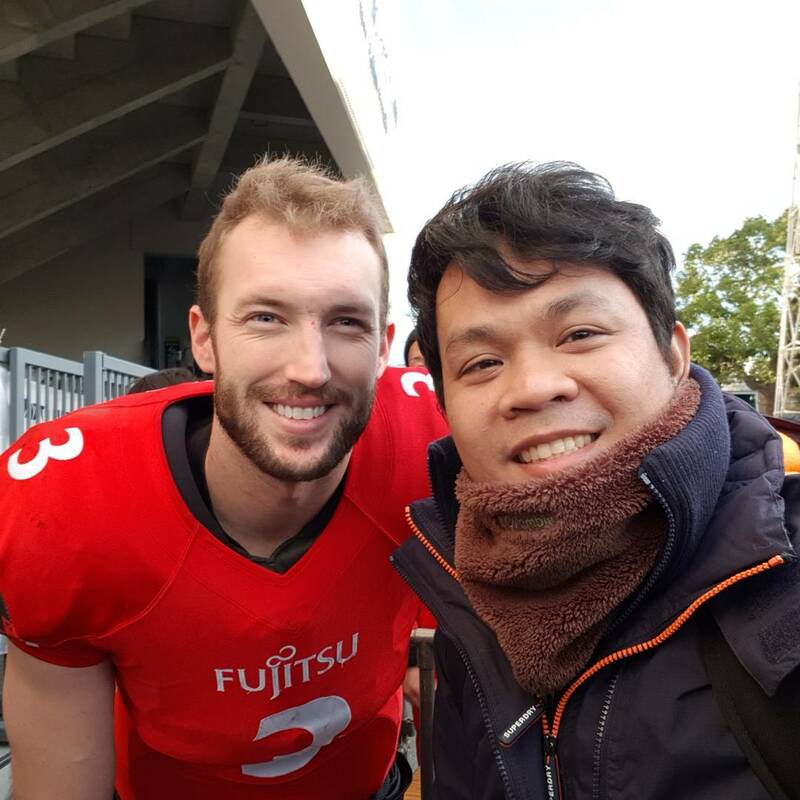 I don’t know the players but I did have a photo with their Quarterback #3 Colby Cameron. 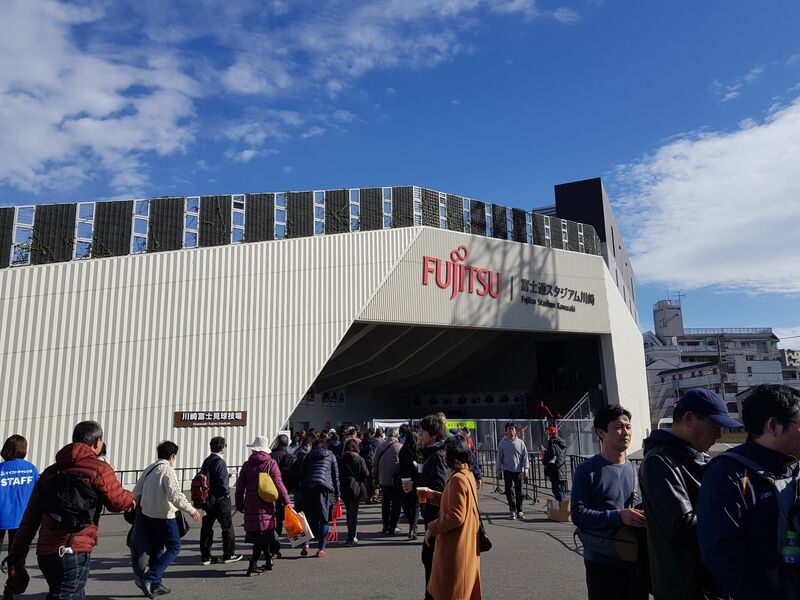 I would love to watch the Fujitsu Frontiers game next time around, probably in the finals. 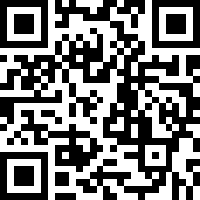 For now, Go! Go! Frontiers!